Through three partnerships with mayor and progressive tank container manufacturers we offer stainless steel, carbon steel and composite tank containers. With these three partnerships we are able to offer and supply a full range of types of tank containers, covering the mayor part of the tank container market. In addition to our wide range of new stainless steel, carbon steel and composite tank containers, we also offer products as spilltainers (drip trays for tank containers) and off shore tanks. In case an urgent demand arises in the market, we enable our clients to react swiftly. 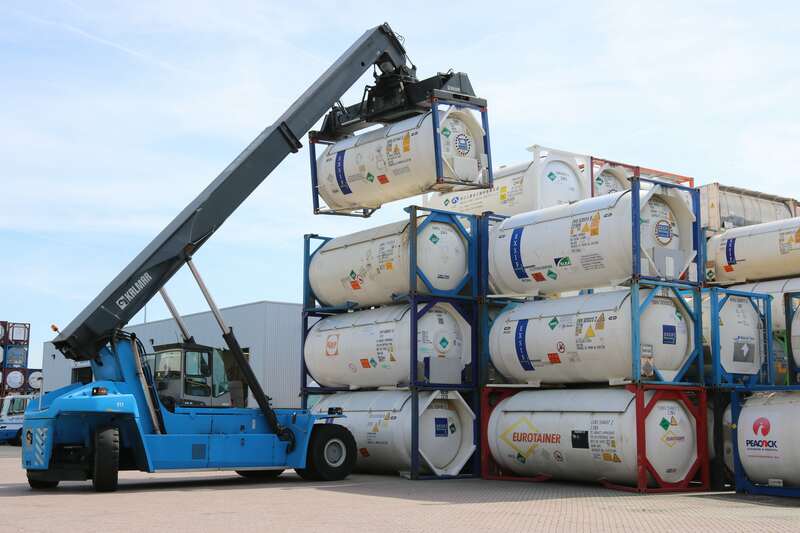 We have used and new tank containers ex stock in depots in both Rotterdam and Shanghai. Through our small team of experienced and capable professionals a wide range of services are available ensuring translation of our customers requirements and benefiting from one point of contact for a wide range of products not all produced by one manufacturer. Furthermore, the product development for each product line is a key component of our service with continuous research into new ways of achieving weight reduction, improved insulation properties, reduction in life cycle costs, improved manufacturing processes and exploration of alternative material use. For customization, modification and tank finishing we make use of the premier independent repair depot in (Port 5612) Aspenal tank container services. Aspenal also offers in-service repairs, testing and specialized works as refurbishment, modifications, rebuilding, cooling and heating systems, GPS systems, overfill protection, level meters, lining and special tank container projects. Due to our partnerships with Singamas, JOPM, Tankwell, the cooperation with Aspenal workshop, and additional products as Spilltainers and Off shore tanks, we offer a complete range of tank container products whereby the one-stop-shop philosophy is applied. We are proud member of the ITCO, the International Tank Container Association.